Posted on August 29, 2016 by Ms. B. Today you will be discussing future goals and how to meet them. 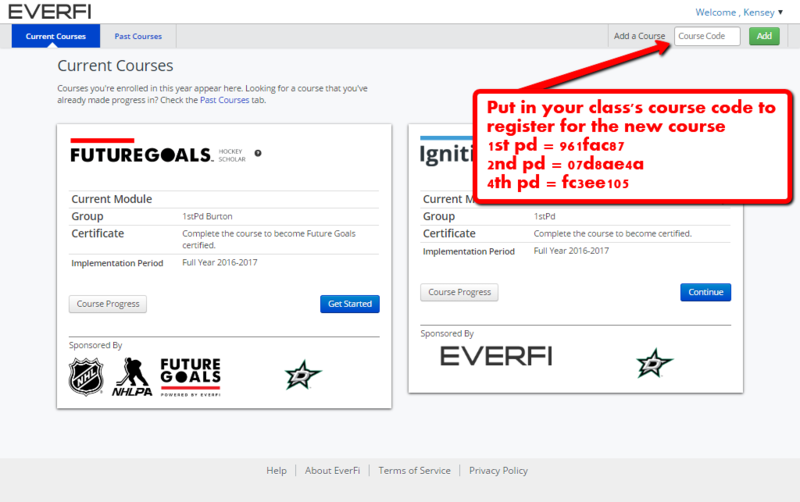 You need to register for our new course by logging in to�EverFi and adding the new course.